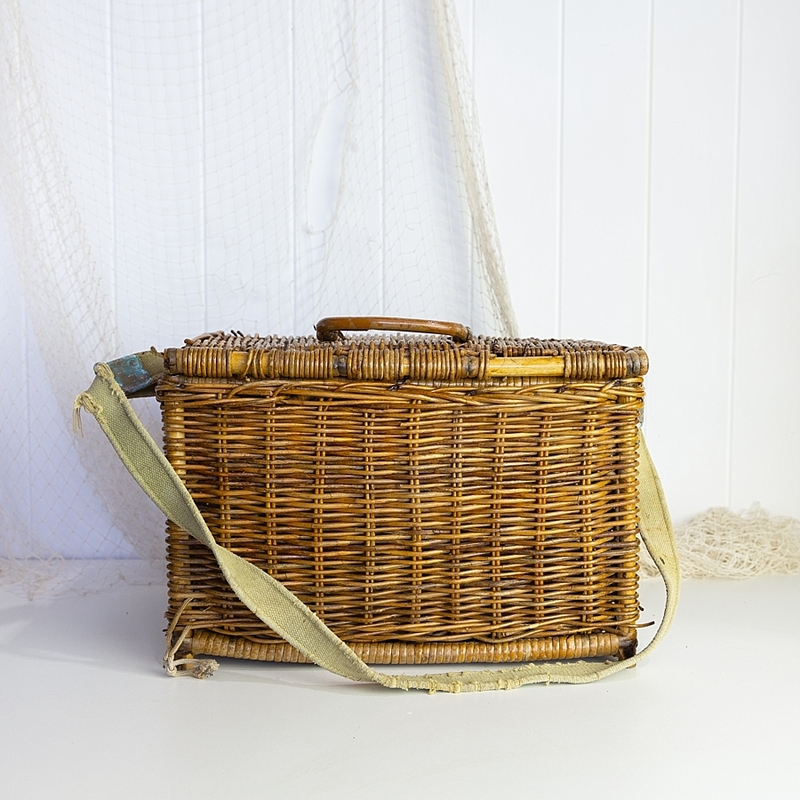 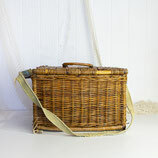 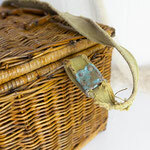 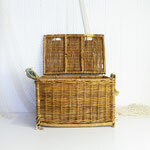 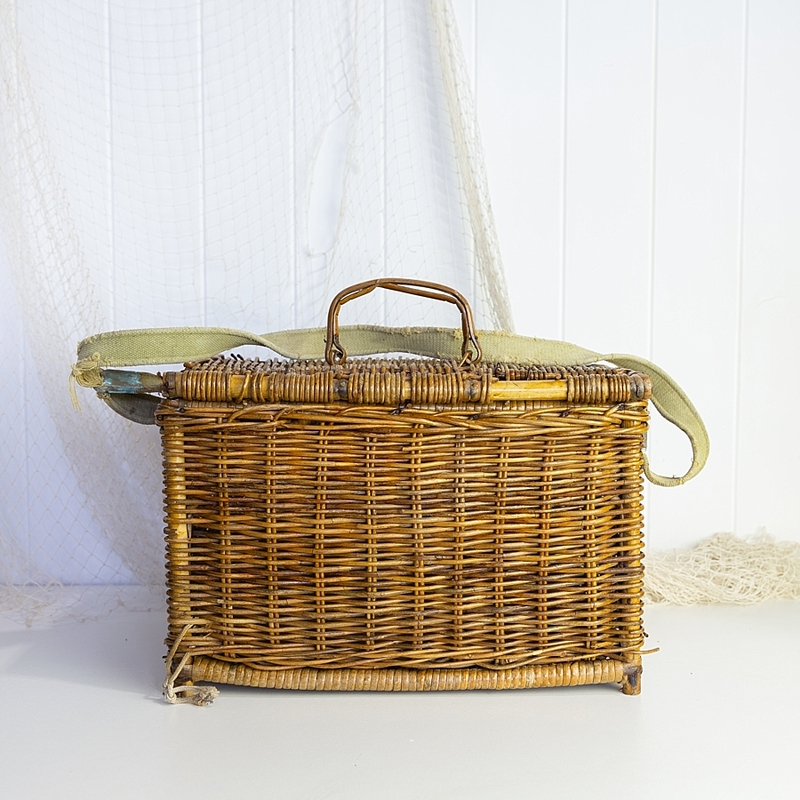 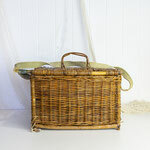 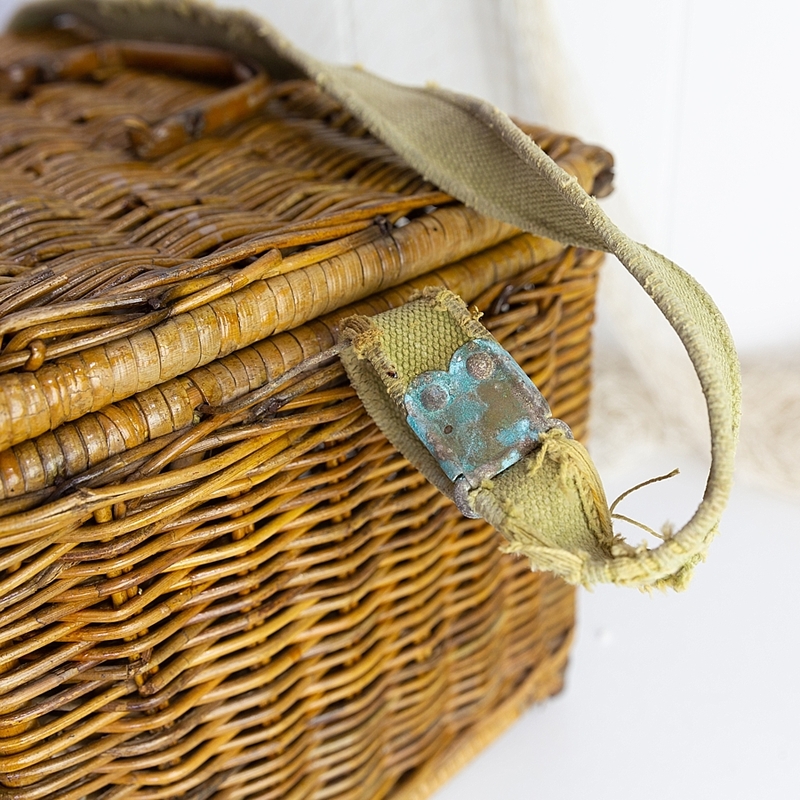 This sweet old fishing creel has a fabulous worn old canvas strap. 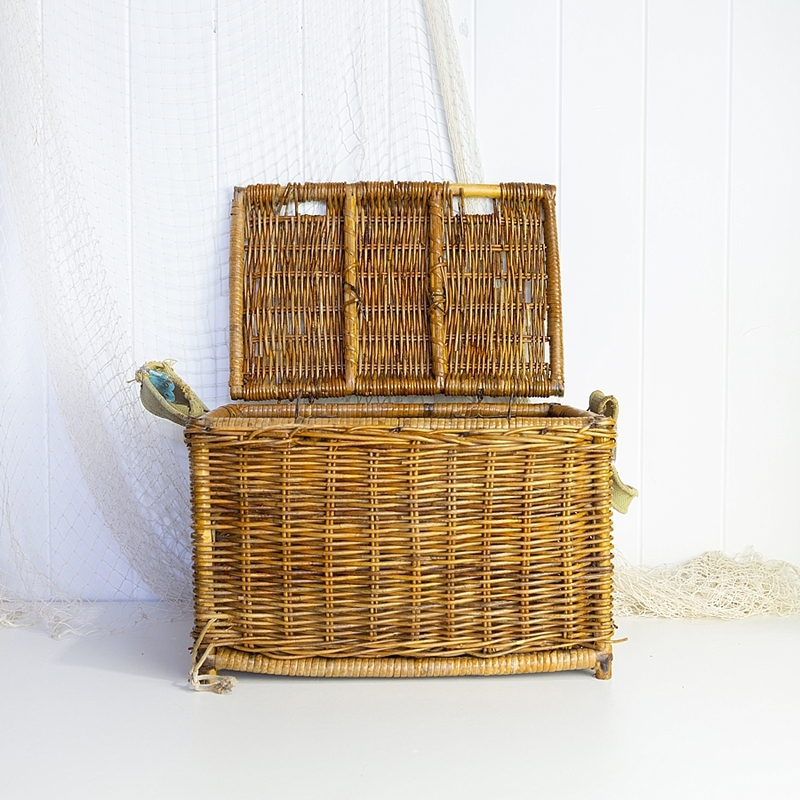 As practical as it is beautiful, it can be used for storage and display at the same time! 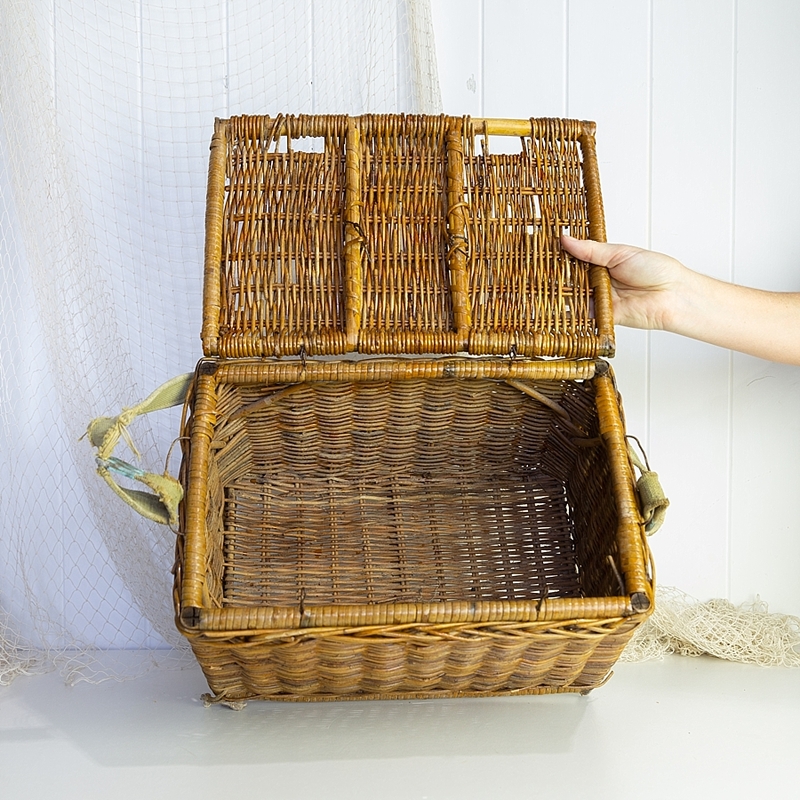 Stack a few on top of each other for impact, or open the lid and use it to hold a pot plant.